The following websites are good places to start any research on therapeutic horticulture, horticultural therapy, restorative garden design, or therapeutic garden design. They provide comprehensive answers to questions such as, "What is horticultural therapy? ", "What is enabling garden design? ", or, "What are the benefits of access to nature?". Newsletter and extensive evidence-based resources on therapeutic gardens and landscapes that promote health and well-being. This working organic farm near Duncan, BC, has offered therapeutic horticulture programs for more than thirty years. Visitors are welcome for self-guided tours between 9:00 am and 4:00 pm, Monday to Friday. Toronto based NPO which publishes resources to promote environmental awareness, particularly helpful for those who work with children and youth. 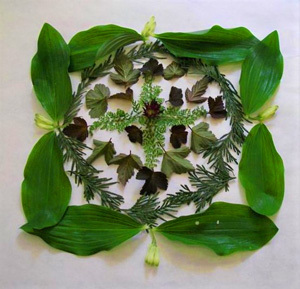 Instructional kits and evaluation models for nature activity programs. A wealth of information about local nature clubs in BC, conservation and education programs, and bird and plant checklists. Education programs and local walks of interest to those wishing to learn about nature, wildlife habitat, and conservation in the Vancouver area. Many links to local, provincial, and national organizations that provide information about community gardens and sustainable food systems.